Gear Lubricants are used to keep the gear systems at a cool temperature while clearing the system of any debris and unwanted particles, and are important for the care and maintenance of your gear systems. Without the layer of protection that gear lubricants provide, the gear systems would experience extreme wear and costly damage leading to catastrophic failure. Gear lubricants are also used to keep gear systems working quietly. They add a layer of protection that not only helps prevent damage, but it also keeps the noise from the system to a minimum. 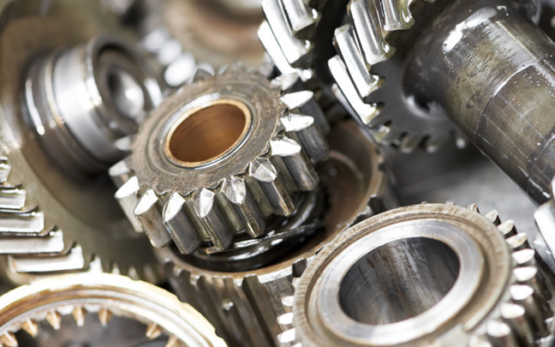 Gear Lubricants are used to keep the gear systems at a cool temperature while clearing the system of any debris and unwanted particles, and are important for the care and maintenance of your gear systems. Without the layer of protection that gear lubricants provide, the gear systems would experience extreme wear and costly damage leading to catastrophic failure. Gear lubricants are also used to keep gear systems working quietly. They add a layer of protection that not only helps prevent damage, but it also keeps the noise from the system to a minimum. Provide outstanding thermal and oxidation stability for industrial bearings and gears that require an R&O-type synthetic gear oil. Premium grade, multipurpose gear lubricants that are ideally suited for gear sets exposed to extremely high temperatures and loads. Their exceptional thermal and oxidation stability and antiwear performance permit longer gear life and optimal drain intervals. For many open gears in industrial, mining, construction, and marine equipment. Open Gear Grease can also be used for chain and sprocket lubrication, or as a tenacious fifth wheel lubricant. A high-quality, high-performance, fully synthetic gearbox lubricant, specially developed to withstand the shock loads and extreme environmental temperature variations experienced by wind turbines. Recommended for lubrication of compressor cylinders and sliding worm gear surfaces in worm drive gear cases. Designed to provide excellent wear protection for automotive gear sets operating in extremely cold conditions, where fluidity of the lubricant is critical to protect gears and bearings. Recommended for many automotive or industrial equipment where the equipment suppliers recommend the use of a straight mineral oil. Recommended as a rear axle and differential lubricant in over-the-road and off-road vehicles when operating under severe conditions and in extremely cold or hot environments.